UltraVault is a secured storage service provider that provides tailored storage deposit solutions for wealthy individuals, traders and financial institutions. 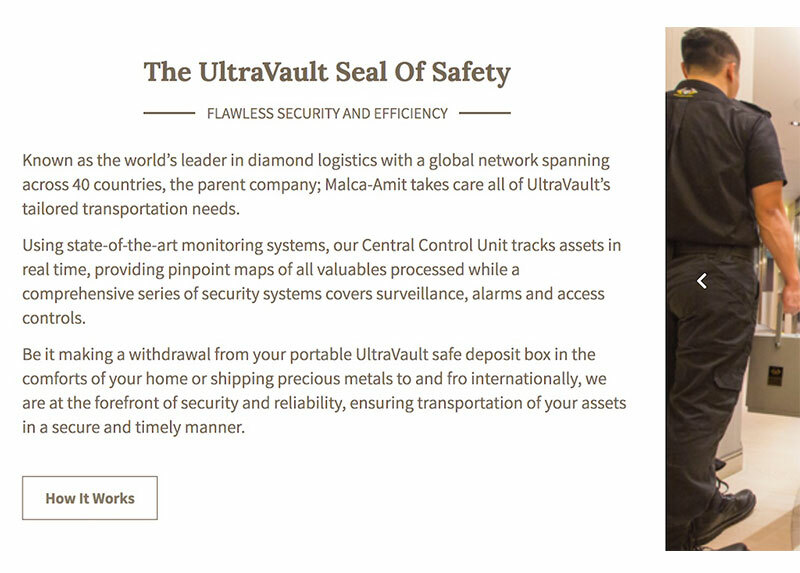 UltraVault part of Malca-Amit, the world’s leader in diamonds and precious metals logistics. Selling to wealthy clients that include banks and financial institutions require a level of polish and presentation that is refined and yet compelling. 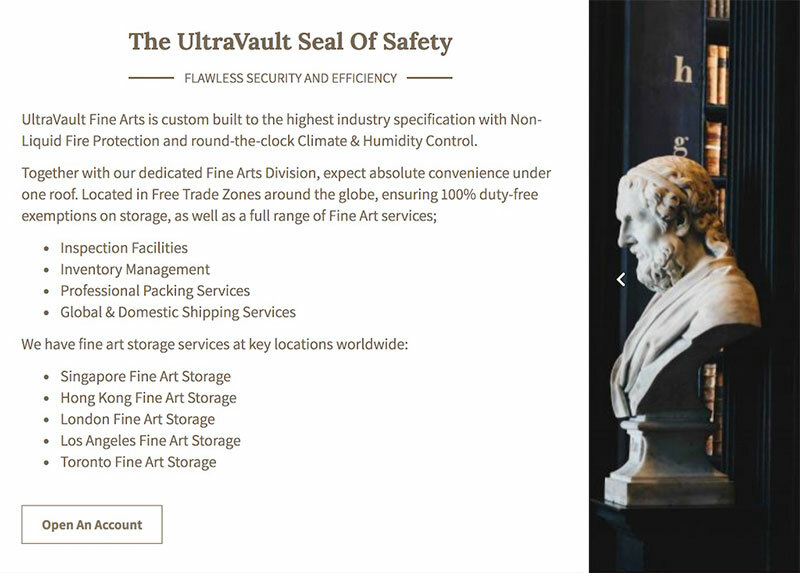 We worked with UltraVault to craft their entire website’s copy, from their services to the company’s brand story. By bringing out their brand essence in every page, we help showcase their brand values of unparalleled security coupled with personalised convenience for the ultimate peace of mind.